The INT curriculum utilizes hands-on experience through fieldwork, guest lectures, observations and internships. 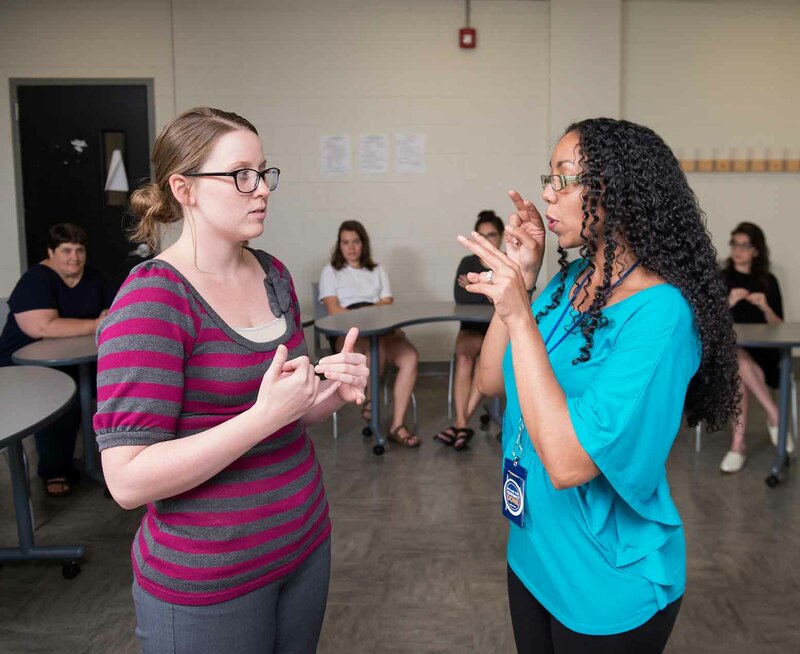 Our American Sign Language (ASL)/English Interpreting program will teach you the unique language and culture of the American Deaf Community as you pursue a career as a professional sign language interpreter. You will acquire advanced skills in both ASL and English, and you will be able to understand and translate the thoughts and feelings of others. 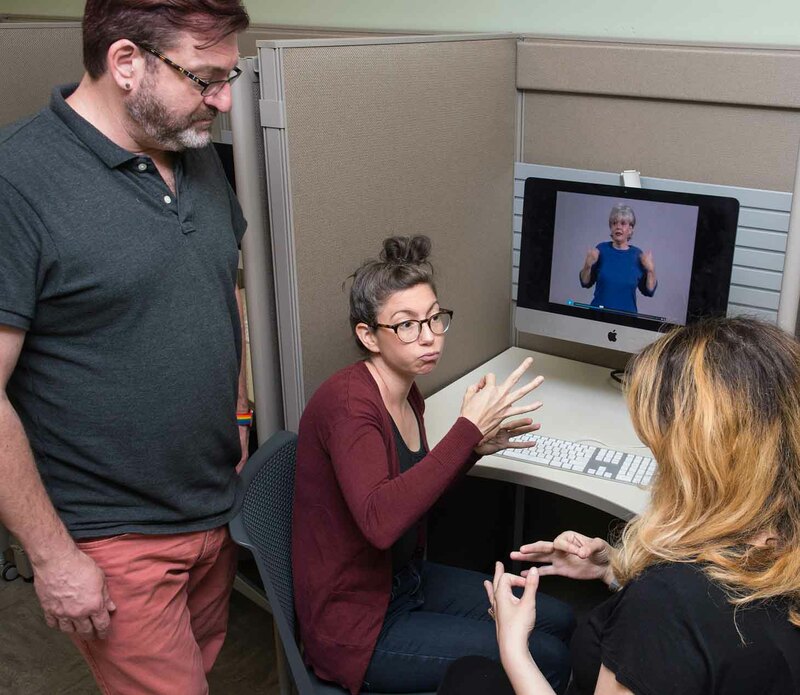 The College’s program also offers a multimedia language and interpreting lab with video, digital and computer technology, feedback on your progress through recorded ASL and interpreting demonstrations of skill, field experience in the deaf community, networking with professional interpreters and an interpreting internship. 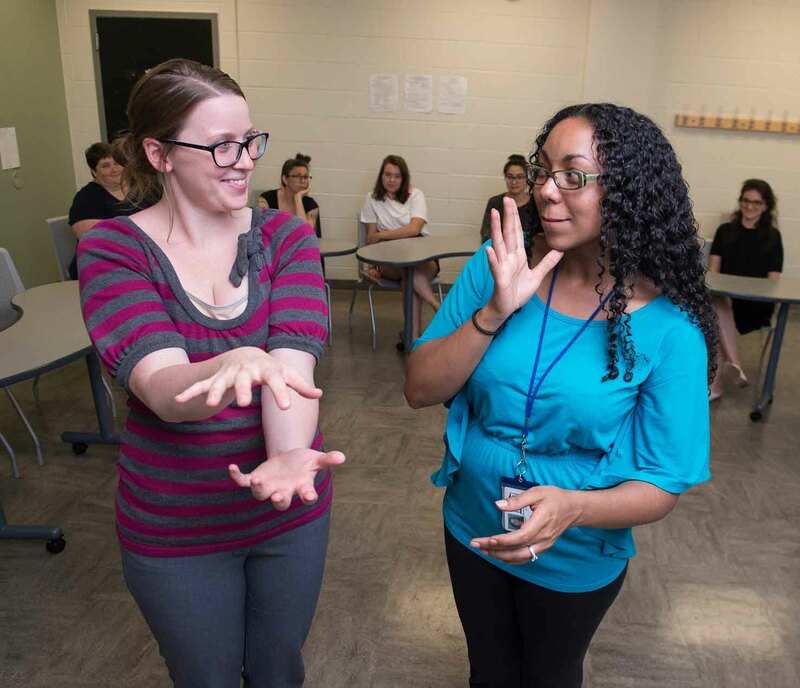 The INT program prepares students for entry-level work as interpreters. 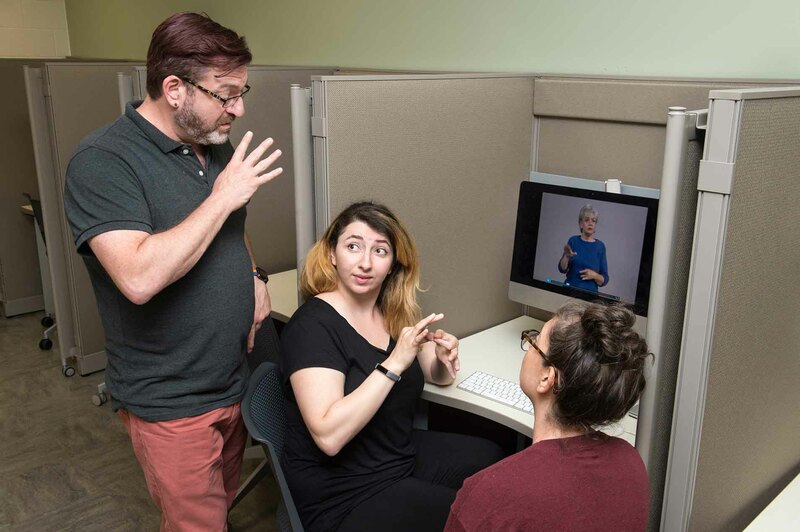 It also prepares students for the national certification evaluation given by the Registry of Interpreters for the Deaf, Inc. (RID). For the majority of students, however, several years of professional work experience after graduation are needed before certification can be attained. Students completing the curriculum receive an Associate in Applied Science (A.A.S.) degree. Beginning July 1st, 2012 RID will require a Bachelor's degree in any major in order to take the national certification exam. In order to meet that requirement, CCP has developed collaborations with baccalaureate institutions to provide suitable options to students graduating with the A.A.S. The following courses and sequence of courses is designed for the optimal success and completion of the American Sign Language/English Interpreting (INT) degree/certificate. Any alterations should be discussed with your academic advisor. This is a select program. Students must earn a minimum grade of "B" in both ASL 101 and ASL 102 or pass a proficiency screening for acceptance and placement in the program. INT 242 - Introduction to Interpreting Processes 3 credits Offered as a hybrid course; part online/part in-class. Class meets once a week. INT 251 - ASL/English Interpreting I 3 credits INT 251 is offered as a hybrid course; part online/part in-class. Class meets once a week for 10-weeks. INT 251 requires a fieldwork component where student will observe working interpreters. A grade point average of 2.0 ("C" average) is required for graduation. New workers generally start around $17,845. Normal pay for Teacher Assistants is $24,700 per year, while highly experienced workers can earn as much as $36,892.